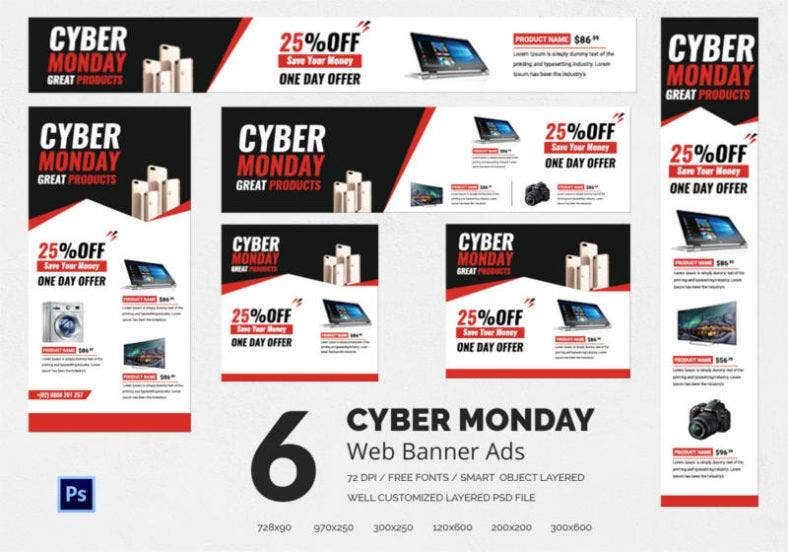 Cyber Monday can get really crazy and competitive when it comes to poster advertising. You need to step up the game and improve your designs if you want to attract customers. This is a battle where you must emerge victorious. Carefully choose from any of the templates below and see which one you think will help you be triumphant. 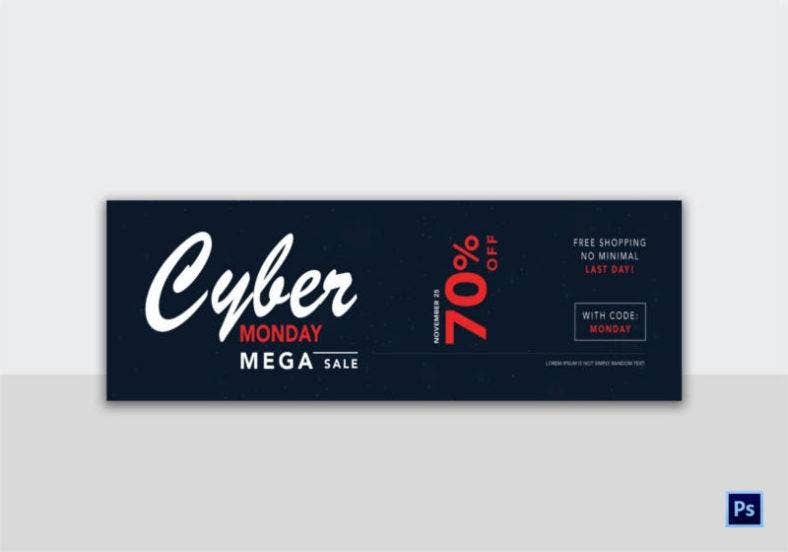 The design looks very modern because of the striped triangles placed on the opposite corners of the coupon. The font style looks slightly cartoonish and appeals to a wider demographic as it reminds people of the style used for kids’ shows. There is enough space that lets you put in your contact details so your customer can reach you for further inquiries. 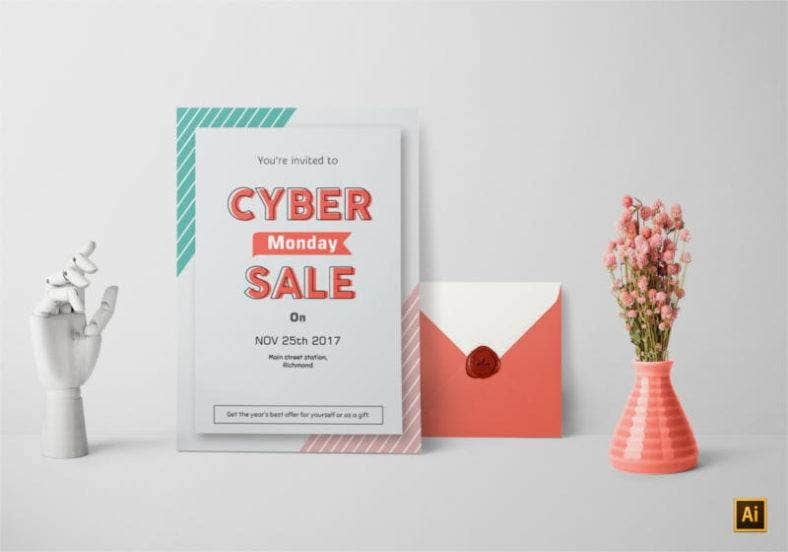 The details are simple but they effectively set out an impressive design for the coupons for an event as big as Cyber Monday. 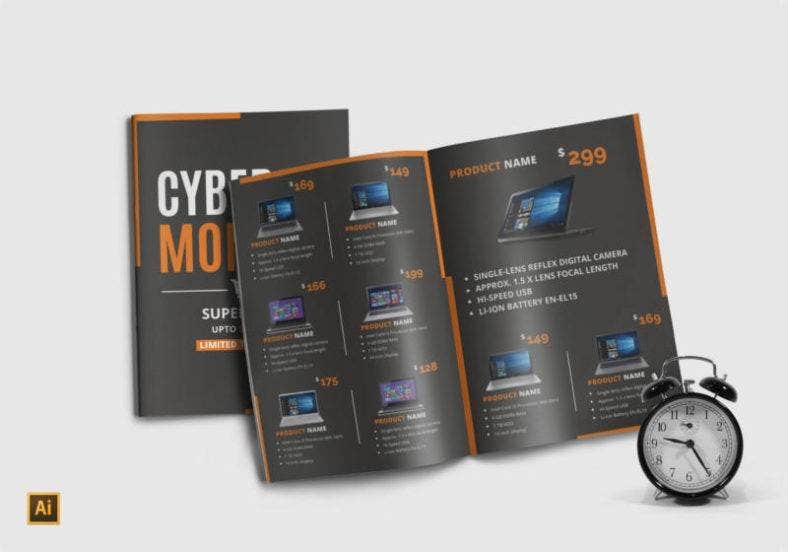 Sleek and chic, the dark background makes the brochure look glossy and alluring as if reeling the people in to tell them never to look at any brochure other than this one. The color used for the borders and texts complement the background wonderfully. Brochures such as bi-fold brochures only need to be simple, and this layout does just that. The products are placed in a well-arranged manner, giving enough breathing space for the product details. 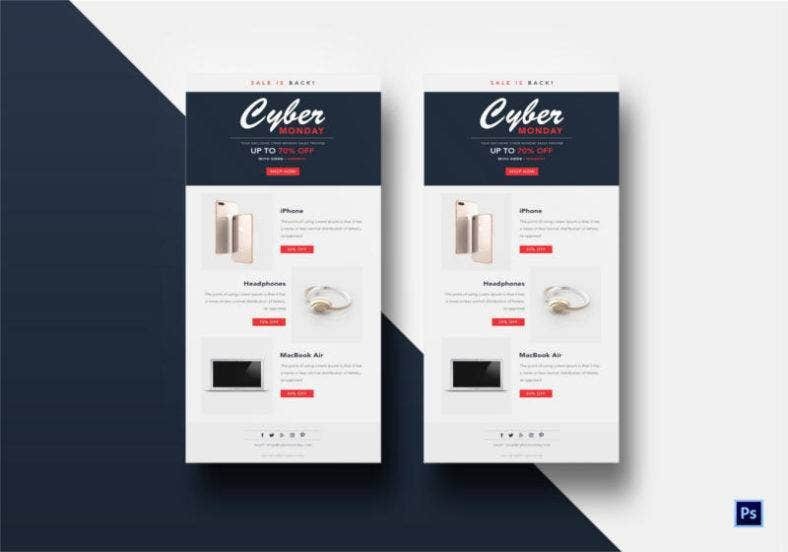 If being sleek is your thing, then this template is definitely made for you. 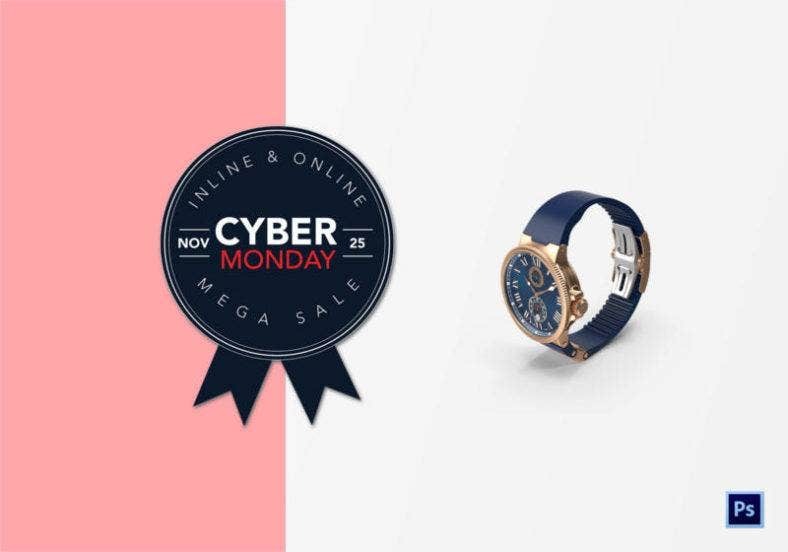 Sending emails is the fastest and most convenient way of letting people know about your products that are up for Cyber Monday. Most people prefer this way as they could just save the photos on their phone and the portrait orientation makes it easier to read. The background colors blend well with each other and the placement of the products makes it more interesting and less boring to look at. So if you are searching for an email template for your business, be sure to download this one. Displaying products on your Facebook page cover gives the customers an idea of what they can purchase. The layout gives space for a maximum of four products to be displayed and, usually, these are the premium or most sought-after items. 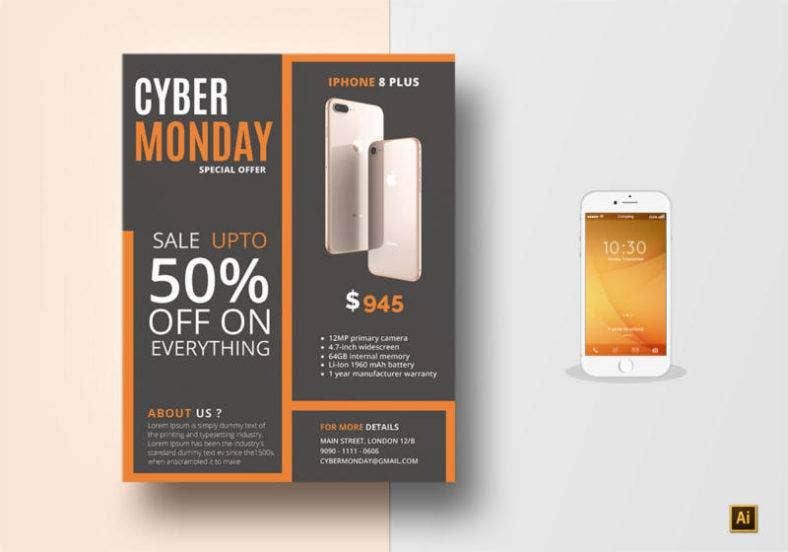 It is a clean black and white design that provides a direct approach of telling people how much is up for discounts. Get your products featured with this awesome design and you will surely get loads of inquiries and sales by the end of the day. Handing out flyers can be tiresome, but designing them can be quite fun. This template lets you easily edit the photos that are featured on the flyer and adjust them to your liking. 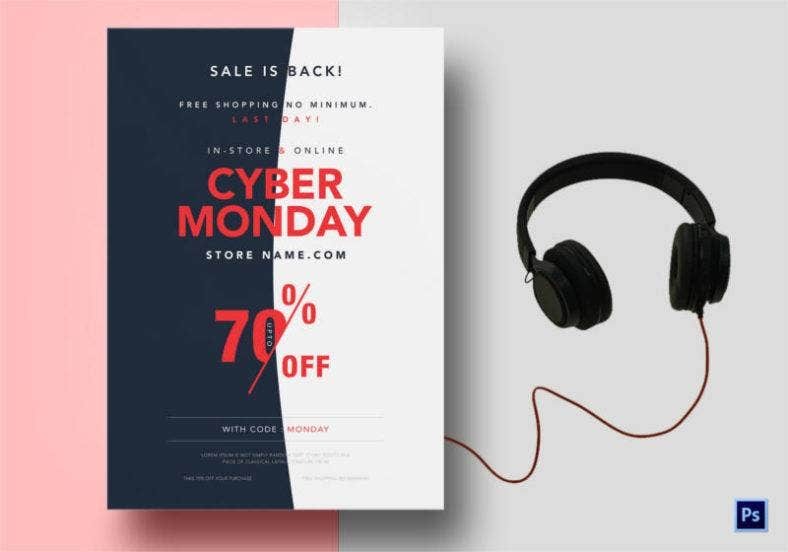 There are not too many curves used in this discount flyer design, making it look edgy. It is a pretty straightforward template that gives you exactly what you need for a flyer. The simple dark background matched with a Sunkist-orange border inspires a classy but fun mood. The layout is adequately divided into three compartments, and the second largest one lets you feature your best-selling or most prominent product. The available space is big enough to put a large photo of your product, giving the customers a clearer vision of what it looks like. 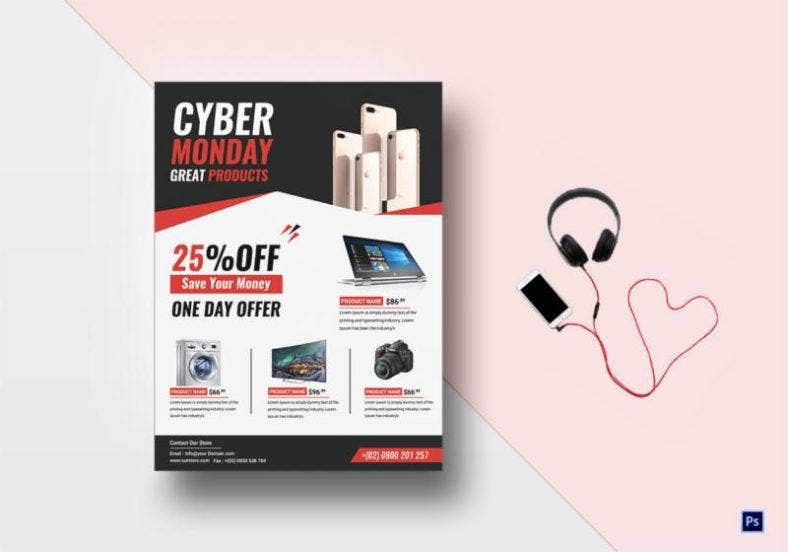 Give this flyer template a try! Marketing and advertising trends have gradually realized the value of using Instagram. The app’s popularity and influence play a big role in business. This Instagram template is already adjusted to Instagram’s photo size ratio of 1:1. All you need to do is edit the text, replace the photo, and voila! You now have an amazing design that will fit your Instagram account’s feed. People will definitely get interested in looking up what you have to offer once they see this design. If you look closely, the dark and light color scheme does not only apply to the background but to the texts as well. The texts on the dark side have a lighter tone while the texts on the light side have a darker tone. It creates a cool effect of contrasting colors mixing well with each other. This is absolutely a fantastic poster design that will grab people’s interest when they take a glance at it. Tags have the simplest designs. 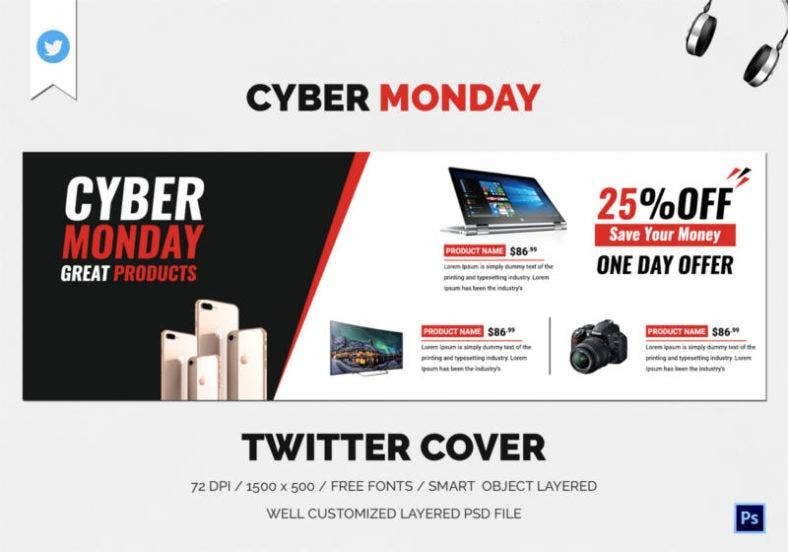 This template only contains the necessary title for Cyber Monday. The dark background makes for a simple yet stunning design. It has a classic look that people will always appreciate. This is as minimal as it gets and you should definitely get it. Billboard designs do not necessarily have to be flashy. Sometimes, they only need to be direct with what they are trying to show. 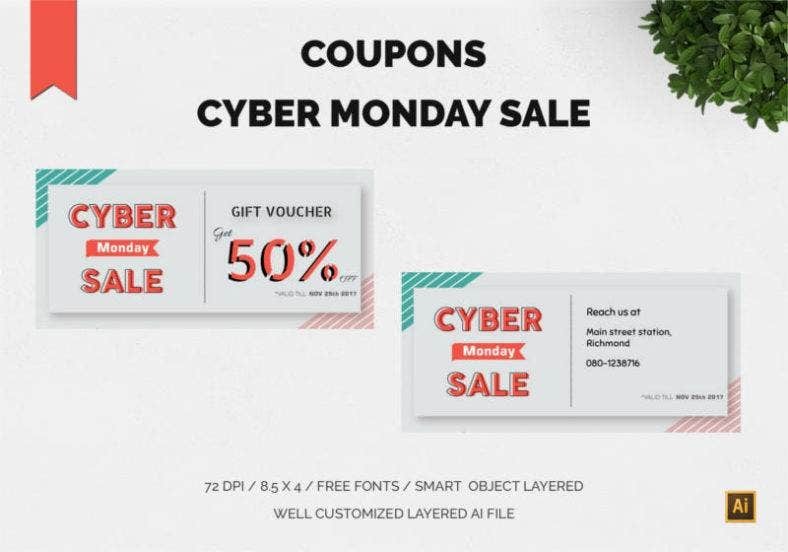 It is a neat and clean design that is straightforward with its intent—and that is to tell people that the company is offering a certain percentage discount for Cyber Monday, no more and no less. It is simple and direct to the point from the design to its message. Badges are cute—too cute, actually. But you might think otherwise of this template. This design screams ‘chic’ from the get-go. The elegant font style matched with a well-coordinated color scheme makes this badge a standout. It is simple, yes, but definitely a stunner! One glance and you can tell that this one is designed with utmost sophistication in mind. It is amazing how straightforward designs can have so much impact. There are not many decorations embedded on this one as it believes that simplicity is enough to bring out the best of the design. One can only go with the flow of this template’s design and just edit the details needed for showcasing the product. This template is straight-up awesome in the most low-key way possible. The Facebook cover is one of the first few things that is seen when one visits a page. It gives people an idea of what a page is about. So in order to have a clear understanding of what your page stands for, a clean and concise design is needed. 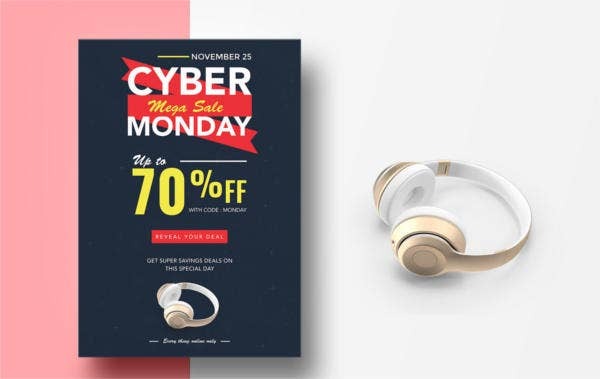 This template offers a design that neatly highlights each product. The spaces are adequately set so the layout does not look cramped. The design is pleasant to look at and it easily conveys the purpose of your company. Google+ is not very well-known by most people except for the business-oriented and technologically inclined individuals. 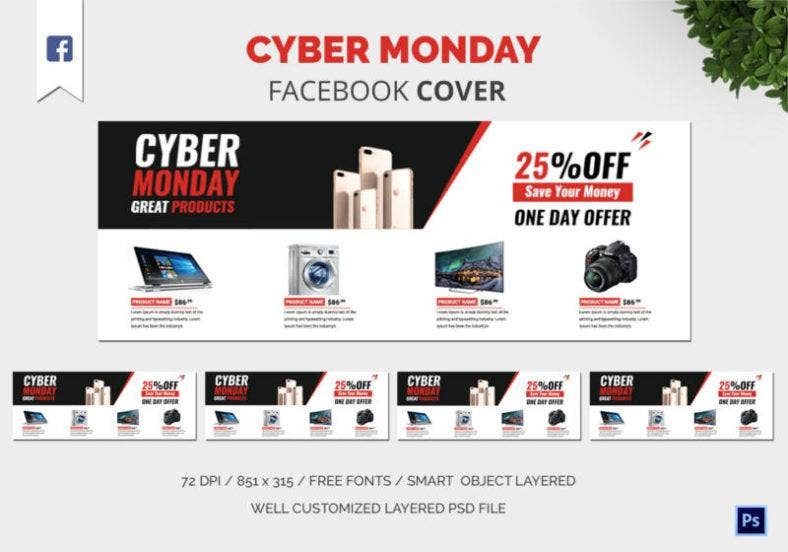 But it is still a great avenue for advertising your product, especially for Cyber Monday. 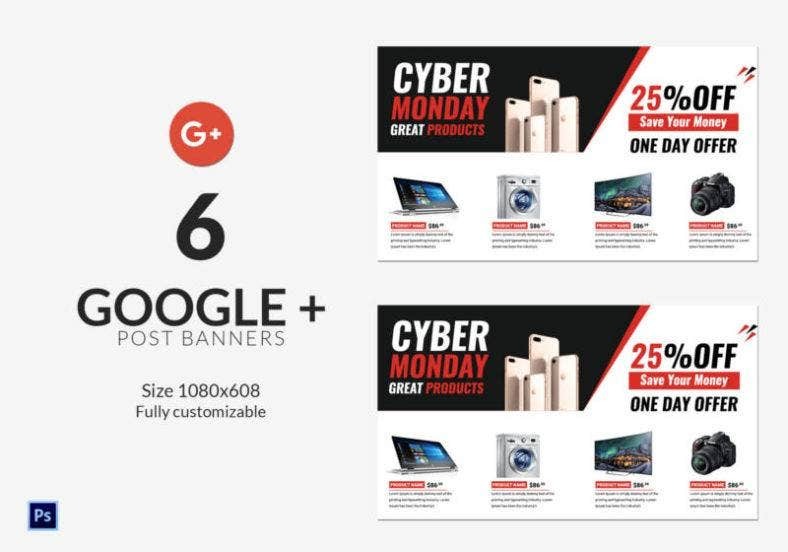 The Google+ cover has the same purpose as the Facebook cover, which is to give people an idea of what the company offers. The layout is minimal at best and it is great at showcasing the products and their details. Invitation templates can go from having the most minimalistic design to having the fanciest decorations—and this one clearly opted for the former. The modern design intends to stay away from all the glitz and glamour and decides to stick with the simply striped triangles on opposite corners of the card and a cartoonish font style for its title. You can never go wrong with being minimalistic. 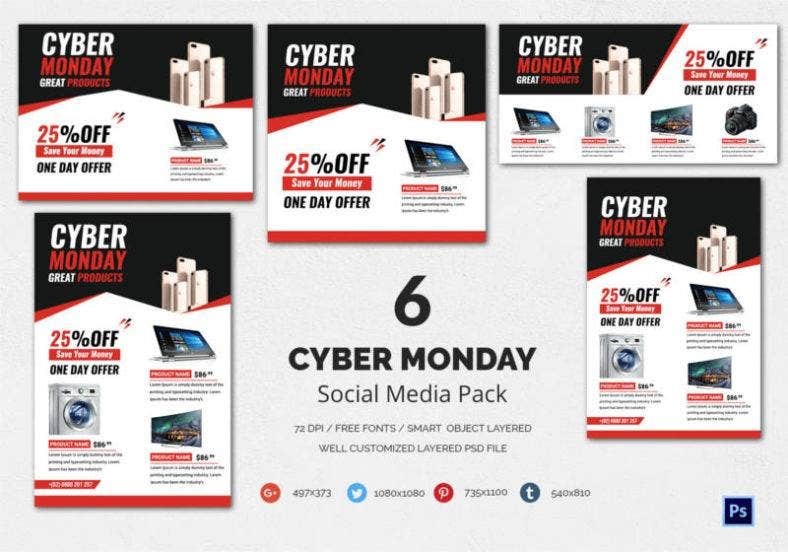 Facebook, Instagram, Twitter, Google+, Pinterest, Tumblr—all the templates for these sites are included in this Social Media Pack. All templates are already resized for compatibility. There is no more hassle of searching for other sizes. All you have to do is replace the photos and edit the texts to your preference. Get this one if you like the design. 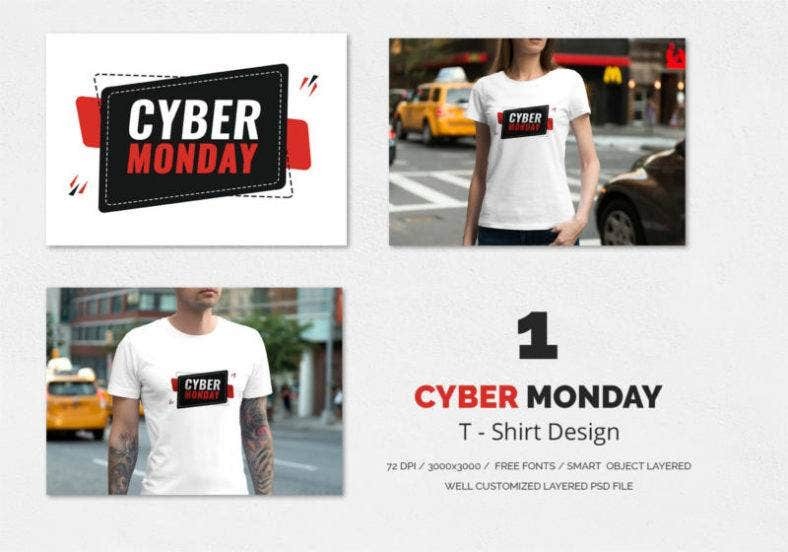 A shirt with a great t-shirt design is one of the most effective marketing strategies. The logo’s design fits well with the white t-shirt. The black and red combination gives off a strong impact. There are no other designs needed other than the logo, making it look simple yet impactful. Twitter can be as great of an influencer as any social media site. This template is already resized for compatibility with Twitter’s cover size. You only need to edit the necessary details and then post it to your Twitter account. Web banners can populate every site that accepts advertisements from various companies. These banners can be annoying at times, so make sure that yours will at least be beautifully annoying. This design is pleasing to the eye. So even if there are other web banners on the site, this design will stand out because of its understated yet attractive looks. 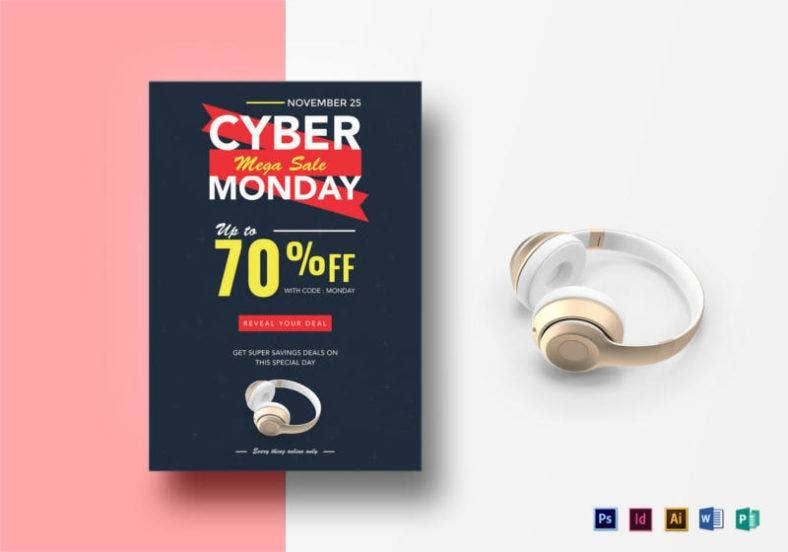 This template includes six web banner ads with different sizes. 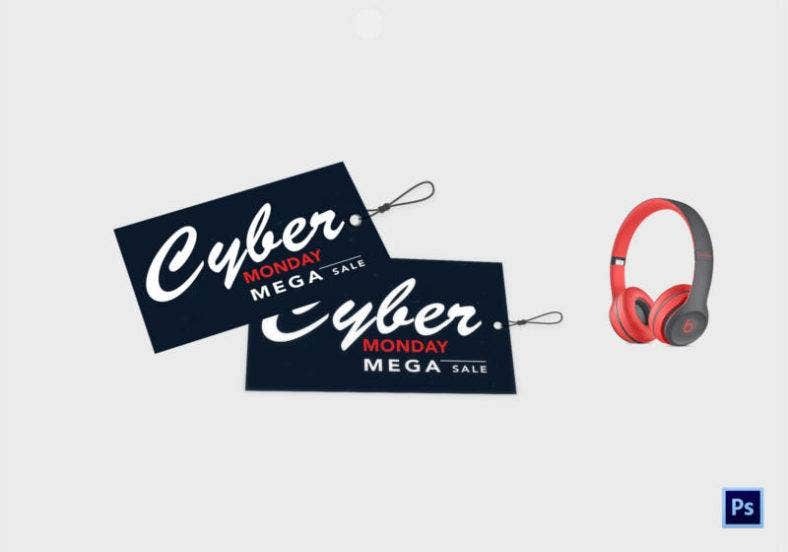 There are a lot of other ideas and designs to choose from for your Cyber Monday deals. Carefully pick the template that you think best suits your marketing strategy. It is going to be quite the competition, but with the right template, the odds will turn to your favor.